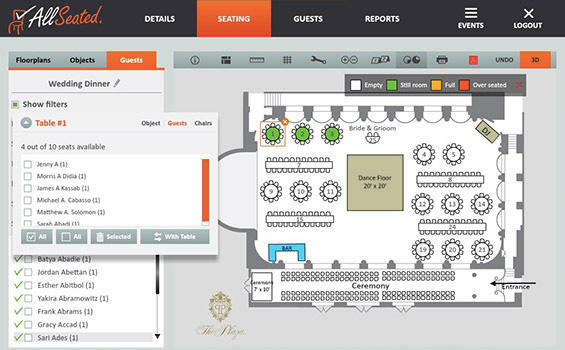 Manage your guest lists, floor plans, meal preferences, and more! 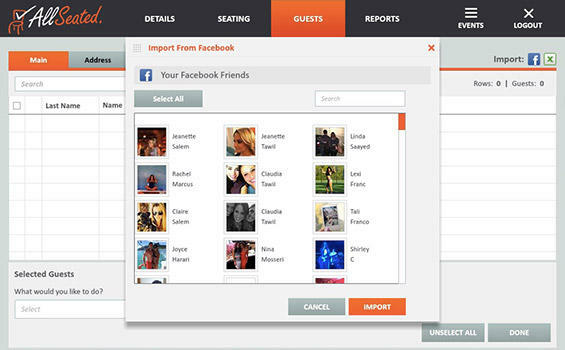 AllSeated lets you import guests from your social networks, email accounts, or Excel files, generating your guest list in minutes, not hours! Once you have imported your guests from any social network or Excel file, you can group guests painlessly using our filters to make seating a total breeze! 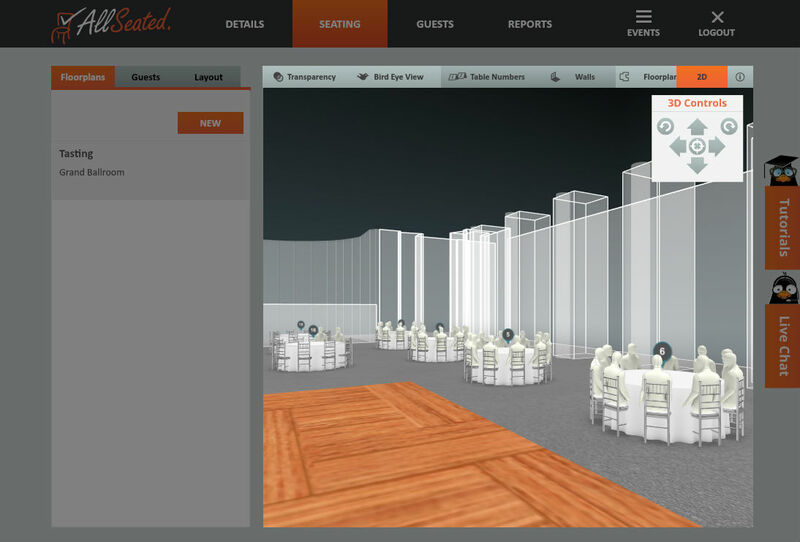 AllSeated offers multiple events with one guest list. This makes it easy so once you start receiving your RSVPs, you can manually update all your events at one time! 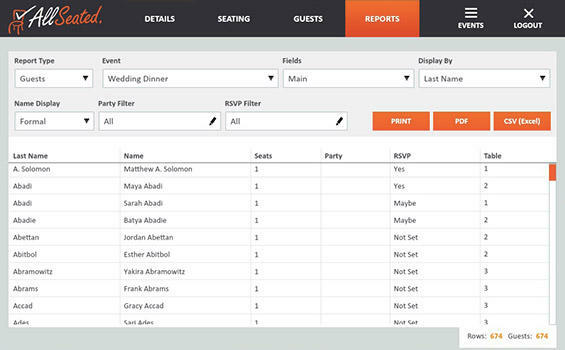 Our filtering system lets you seat your guests in groups, switch guests between tables, switch full tables, and much, much more. Once you start filling up tables, our color-coded chart will keep track of it all. AllSeated offers a reports system to print out lists to share with family and friends. 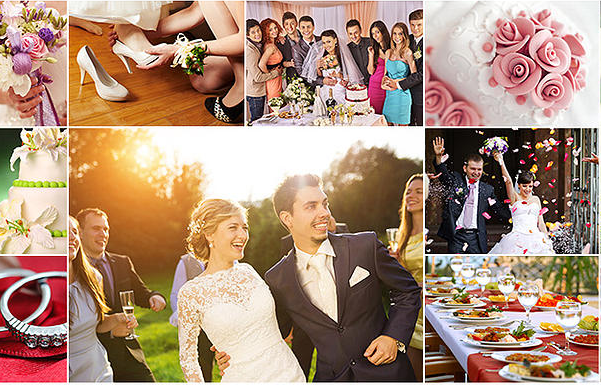 Even easier: invite them to share your event and be part of the planning itself! No more countless phone calls, faxes, and emails – Our simple entourage invite feature lets you update them in real time! 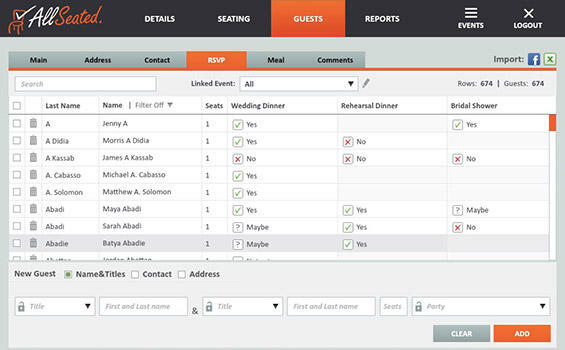 Helpful reports show all the breakdowns of your guests, tables assignments, meal selections, and more. These can be printed off or shared with the people you’re collaborating with. When you’re done arranging the floor plan and seating your guests, take a quick stroll through the room virtually in gorgeous 3D. 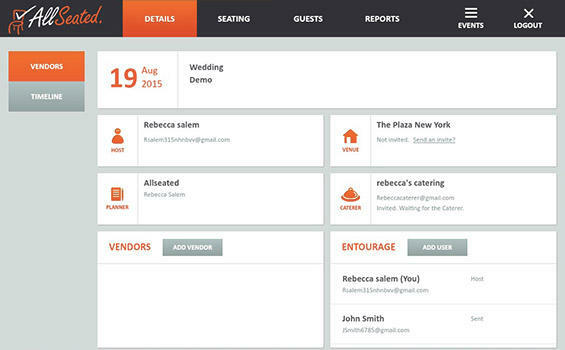 AllSeated takes care of all the details in planning your wedding, and it’s totally free. But if you need a little more convincing, schedule a free tour of everything AllSeated has to offer.